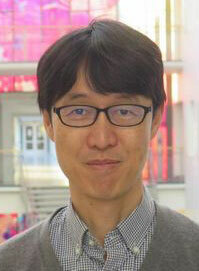 Dr. Inoue graduated from Ehime University in 1996, and completed his doctoral program in 2004. He is a fellow of Japanese Circulation Society (JCS), and a board-certified specialist in internal medicine, cardiology and cardiac imaging. His research currently focuses on left atrial mechanics in heart failure with echocardiography. Inoue has introduced a concept of left atrial work from pressure-strain relationship (Inoue K, Nakatani S, et al: Compensatory increase of left atrial external work to left ventricular dysfunction caused by afterload increase. Am J Physiol Heart Circ Physiol 2015). The concept is based on previous work on myocardial work of the left ventricle (Russell K, Smiseth OA et al: A novel clinical method for quantification of regional left ventricular pressure-strain loop area: a non-invasive index of myocardial work. Eur Heart J 2012). Katsuji Inoue, Toshihiko Asanuma, Kasumi Masuda, Satoshi Nakatani. Assessment of left atrial work during acute coronary occlusion. Ultrasound Med Biol 2018 (in press). Kaori Fujimoto, Katsuji Inoue, Satoshi Nakatani, Jitsuo Higaki. Incremental value of left atrial active function measured by speckle tracking echocardiography in patients with hypertrophic cardiomyopathy. Echocardiography 35: 1138-1148, 2018 (Best Paper of the Issue). Hiroshi Kawakami, Katsuji Inoue, Akira Fujii, Takayuki Nagai, Shuntaro Ikeda. Evaluation of functional recovery of structural reverse remodeling of the left atrium by pulmonary vein isolation in patients with atrial fibrillation European Heart Journal 39 (suppl): P5355, 2018 (Best Poster Award).